Which are the is a question we often hear. The answer is debatable and often hotly contested. But we have taken the plunge to divulge! Unfortunately the best days of public Garden making was inspired many centuries ago and have passed with the Mughal era. Gardens that came later also tried to replicate the Mughal styles of yore. Compiled below is a list of what we think are some of the best gardens in India. Compiled below is a list of what we think are some of the best gardens in India. The list is given by various states of India. Let us know if you think we’ve missed out any gardens. (i)	Chasme-e-Shahi: or the Royal Spring Garden know for its medicinal waters! (ii)	Nishat Bagh: is connected to the famed Dal Lake of Srinagar and has been the site for famous Bollywood movies including Shammi Kapoor’s Kashmir ki Kali. (iii)	Shalimar Garden: Built by Emperor Shah Jahan as gift for his bride Noor Jahan dates back to the early 17th Century. Did you know Srinagar, Kashmir hosts a Tulip fower festival every year in April? There are amazing hues of the tulip spread as far as the eye can see. In fact it is one of the largest tulip shows in south Asia! Tulips grow from flower bulbs and we’ve got an equally awesome lineup of flower bulbs. Check it out at our webpage on flower bulbs of India by clicking here! (i)	Pinjore Gardens near Chandigarh also inspired by the Mughal Gardens and built on various levels. (i)	Mughal Garden in the President’s Estate on the Rashtrapati Bhavan Grounds. These gardens are opened to the public for viewing in Spring until March every year. Apart from splendid blooming flowers the gardens also feature medicinal herbs and several exotic and non-native species. 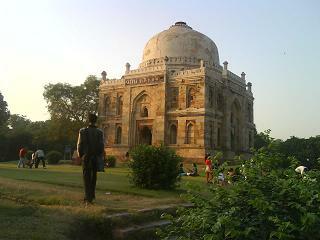 (ii)	Lodi Gardens in Lutyens Delhi are built with the Mughal monuments as a natural backdrop. Spread over several acres there are four spectacular monuments to see as well. (iii)	Humayun’s Tomb – Again the greenery here is suitable supported by the wonderful Mughal architecture making it a popular haunt for recent Bollywood producers. (iv)	Deer Park near Safdarjung Enclave deserves a mention in the Best Gardens in India as it is the green lung of this area. Adjoining the Delhi Lawn Tennis Association on one side and the Rose Garden near IIT, Delhi on the other, this sprawling expanse of green is a walkers green paradise in the midst of the city, quite like the Central Park of New York city . (4)	Rajasthan: also known as the desert state of India surprises us with its gardens making it to our list of Best Gardens of India. In fact even the famed Amber Fort near Jaipur has spectacular views of the gardens surrounding it. Viewed from a height from the upper terraces of the fort, they appear like some intricate inlay work! Read our blog section on this website to know more. Meanwhile here are the best gardens in our view from this Indian state. (i)	Deeg Palace Gardens also known as the Monsoon Palace Gardens since it is at its best after the Monsoons. There amazing water gardens and walkways fed by over 500 fountains. The Palaces are built to surround this garden so that everywhere you turn you can catch a view of this green oasis. (ii)	Sisodia Gardens or the Sisodia Rani ka bagh also close to Jaipur is again a multilevel garden resplendent with fountains and palaces. The added attractions here are the depictions of Lord Krishna on the walls in the surrounding Palaces. (iii)	Sahelion Ki Bari (Colloquially translated as the garden of the Maidens) is located in Udaipur or the lake City of Rajasthan. This garden was once used by the ladies of royal descent for their walks and rendezvous’. Today this garden serves to take one away from the hustle of the Udaipur city. But note this garden deserves a mention Best Gardens in India only when its fountains are operational. (iv)	Gulab Bagh, Udaipur – Almost every Indian city has its Gulab Bagh or Rose Garden of some sorts. But note this garden in Udaipur deserves a mention in the Best Gardens in India as its is a spread over a huge sprawling 100 acres. (5)	West Bengal: Moving to the east one cannot but admire these famed gardens which are definitely the boast of India: (i)	Indian Botanical Garden - near Howrah, Calcutta. Dating back to the late 18th Century this garden has two highlights – first its famed Banyan tree which has the world’s largest sprawling root all around it and Second, the garden is a bird lovers paradise drawing birds from the adjoining banks of Hooghly river. (ii)	Lloyds Botanical Park, Darjeeling- though not very large (40 acres or so), these gardens abound in the prettiness factor with their charm enhanced by the Himalayan backdrop! (6)	Sikkim:The Jawaharlal Nehru Botanical Park, Gangtok is home to the wondrous land of bamboo thickets, orchids and medicinals plants and herbs. Take a dekko and also visit the enchanting Rumtek monastery nearby. (7)	Uttar Pradesh– Mehtab Garden, Agra, UP – situated next to the Taj any garden has to be imbued with greatness. Let us explain to you why in a moment. Mehtab garden translated means moonlight garden and its greatness comes from its proximity and unparalleled views of one the world greatest wonders – The Taj Mahal. Best to time visit this garden of India is around sunset. (8)	Karnataka: Moving towards the South of India, there are two notable gardens in this State which make it to our list of the Best Gardens of India. (i)	Brindavan Gardens, Mysore, are perhaps one of the best laid out gardens of India. Spread over 60 acres with boating facilities, the gardens come alive with ISKON devotees during the evenings. The special attraction in the evenings is also the light and sound gala show with dancing fountains and illumination. 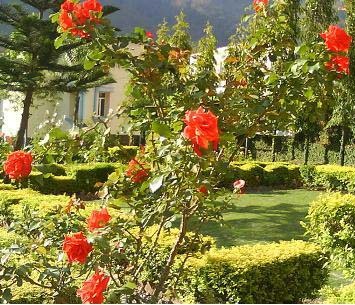 (ii)	Sim Park, Coonoor – situated in the Nilgiris, this garden has the “natural” advantage of being home to over 1000 plant species including rare flora and fauna. (iii)	Lal Bagh, Bangalore – boasts a 240 acre large garden which is renowned for one of the most diverse Botanical gardens in South Asia. (9)	Tamil Nadu:Botanical Garden, Ooty – is an ever popular hit at this tourist destination in South India offering boating opportunities. Do not be surprised if you catch here the filming and shooting of a blockbuster movie in the making! (10)	Maharashtra: Hanging Gardens of Mumbai or the Feroz Shah Mehta gardens besides offering botanical splendors, also offer great views from the top of the hill. You can catch views of the vast Arabian Sea which are just amazing! The list above is given by various states of India. Let us know if you think we’ve missed out any gardens of India which deserve to be on this list of the” Best Gardens of India” by writing to us at info@groveflora.com.